Where ERP manages the business, CRM manages the customers. Enterprise Resource Planning (ERP) and Customer Relationship Management (CRM) are similar in lot of ways, because they are used by the organizations to increase their overall profit. Both ERP and CRM play a vital role in improving efficiency and increasing sales of the business. 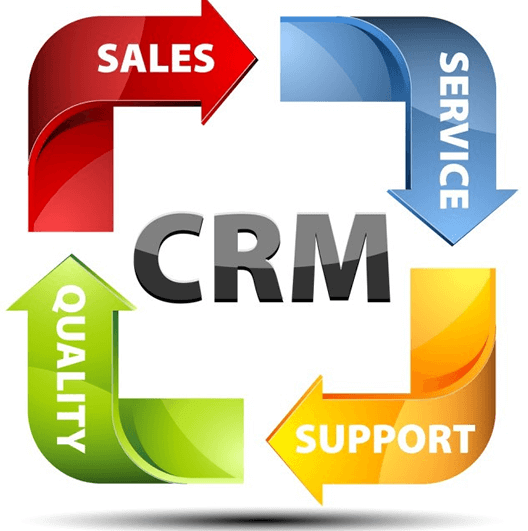 Every company has their own CRM/ ERP system. Be it to manage the customer data or to track the communication that happens with them. We help in integrating our Marketing Automation tool with your company's CRM/ ERP. Our system is robust and can work with any technology of your choice in order to send the leads captured through our system to your CRM/ ERP software. At The Digital Branding Company, ERP software accelerates all your purchases by providing a platform to combine all your sales and finances thereby improving accuracy, eliminating errors and strengthening revenue processes. We believe in satisfying our customers with the best ERP solutions. Integrated CRM software makes customer management easy by providing qualified leads and ensuring effective sales management. With vast experience in ERP & CRM software development, Digital Branding is committed to deliver top quality custom solutions. Our highly experienced and advanced skilled team has successfully developed projects in various fields. Be it manufacturing, trading, banking, retail, health or any sector, the solution given by our team are carefully created to meet the specific needs of our clients in a cost effective and hassle free way. The major advantages of integrating CRM and ERP is that your spend will get optimized giving you maximum return on investment thereby boosting your business. You can have one stop solution to all your databases by integrating all the information at just one location. It gives your users the tools that can create more accurate predictions in regards to your business.